The American Red Cross has announced their interior design team for the 2015 Show House to be held at the historic Birthday Cake Castle property, and we have been chosen to create a design for the formal Living Room. The room's focal point is the original Mizner-style fireplace which anchors the large living space and illustrates the history and unique character of the home. 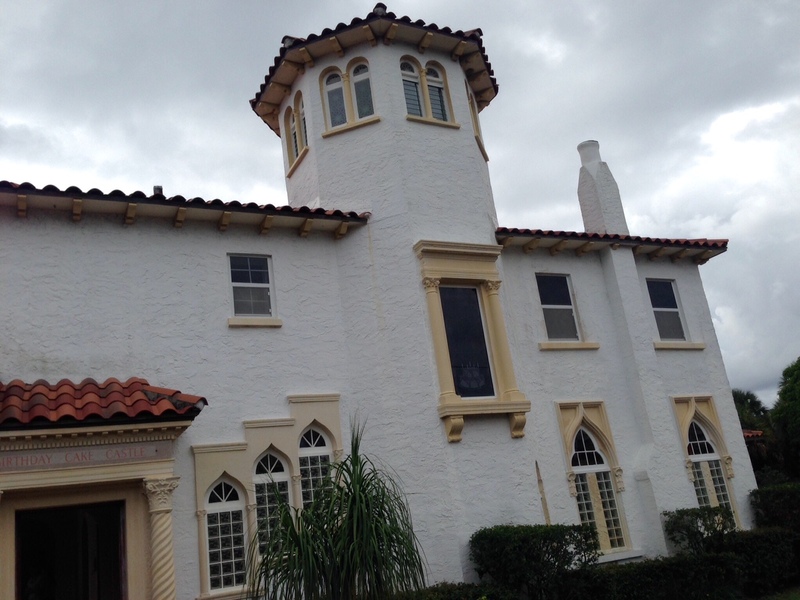 Additionally, colorful stained glass from the 1920s can still be found in several of the Moorish-style windows. Oak wood floors typical of the period are in beautiful shape and will be a great asset to the overall design. I am thrilled to have such a great space and my team and I are already working on a fabulous design! A few sneak peak “before” photos of the living room and the exterior are attached. Stay tuned for more details!